Now that spring weather has finally arrived in Chicago, it's time to put away those bulk coats (you know...the one's that make you look like the Michelin Man) and turn towards lighter, chicer options. 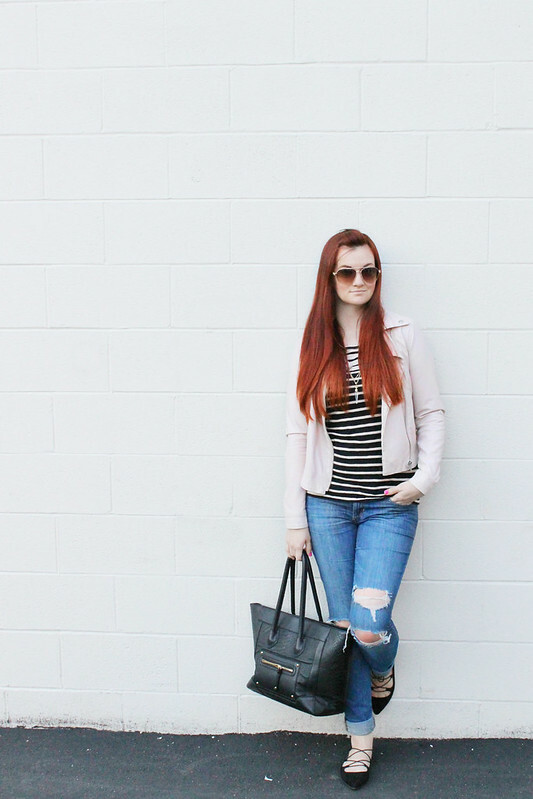 My absolute go-to light jacket right now is this adorable blush pink moto style jacket. And the best part? It's only $17!! CLICK READ MORE TO KEEP READING. I was heading out to run errands, so I wanted to keep the look casual and chic. 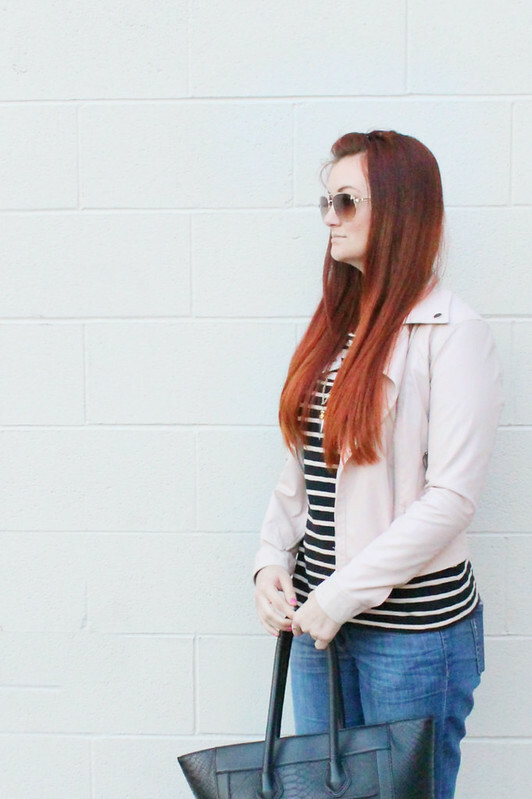 I layered the pink moto jacket over my favorite striped boatneck tee. 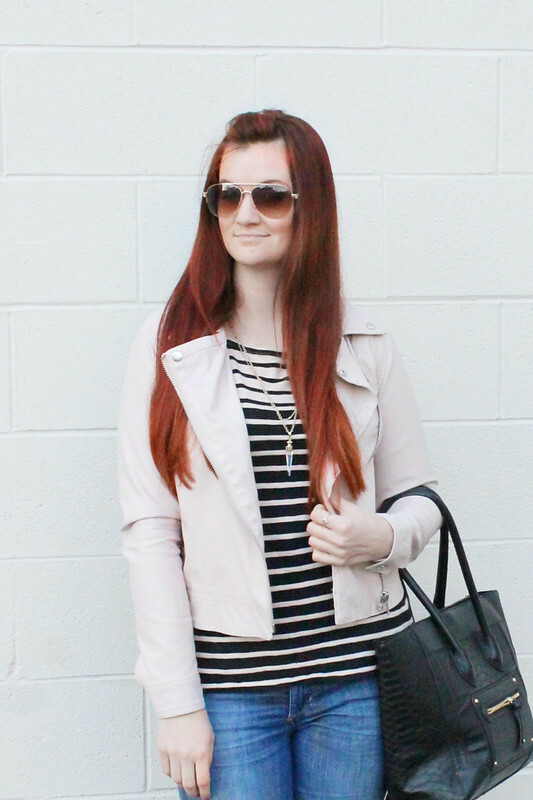 If you don't have a simple striped tee in your closet, go get one. They are so easy to pair with pretty much everything and can really help to extend your wardrobe! And of course, I had to end the look with some lace up ballet flats. Seriously, I can't get enough of them. If someone would please like to by them for me in every color and pattern...we could so be besties! 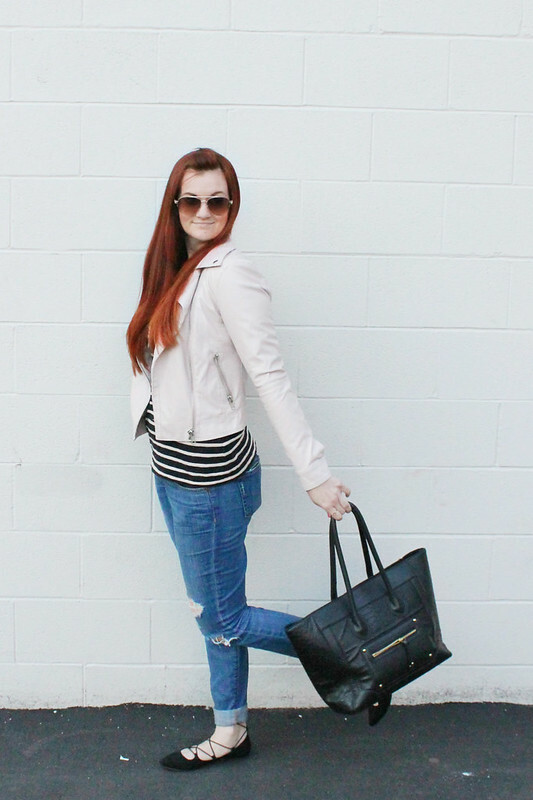 Lace up ballet flats just make every look seem more elevated. They are comfortable and you can easily dress them up or down. I paired these same ones with a little spring dress the other day, and it was just adorable. I recommend investing in a solid pair (maybe black or blush). I don't think this trend is going away anytime soon.